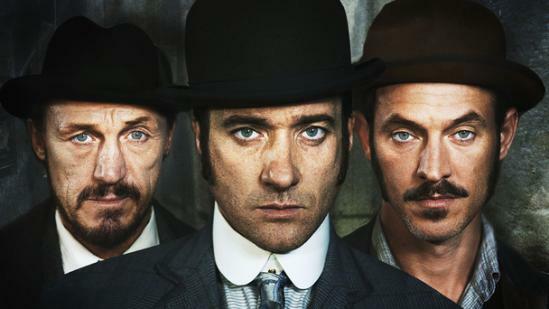 The BBC Media centre has Ripper Street as one of the unplaced programmes for broadcast, for the week beginning 26th October. Jack The Ripper may be fading into memory now, but East London has found no peace; H Division’s beat is more chaotic and lawless than ever. So when a sergeant from Limehouse’s neighbouring K Division is found, hurled from a Whitechapel tenement window on to the iron railings below, Reid is quick to act. If the police are to be so publicly assaulted on his streets, what hope for law-abiding civilian life? Investigations into the man’s activities lead them to the newly emergent Chinatown of the Limehouse dockside; and from there into the orbit of K-Division’s Inspector Jedediah Shine. Shine’s conviction is that his sergeant has fallen victim to a Triad turf-war in this new market, but Jackson discovers evidence of a newly synthesised and devastatingly powerful opiate that leads Reid to different conclusions. And a dread fear that a new kind of hell is to be released on to his streets.